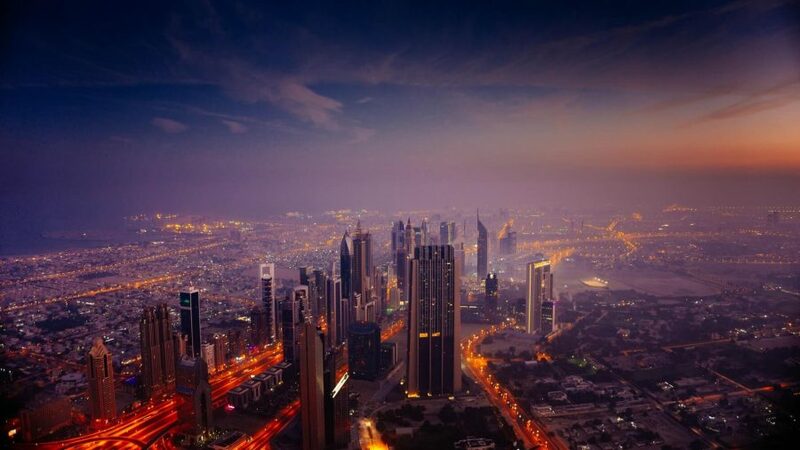 Dubai is the largest and most cosmopolitan city in the UAE. It is not just a very fun place to live, but also one of the safest cities in the world, with lots of wealth and a very high quality of life and education standards. In the workplace, there is equality for men and women and working relationships are based on mutual respect. All in all, a perfect and preferred location for SAP consultants. Although most people believe Dubai’s wealth comes from the oil industry, this is in fact not correct. 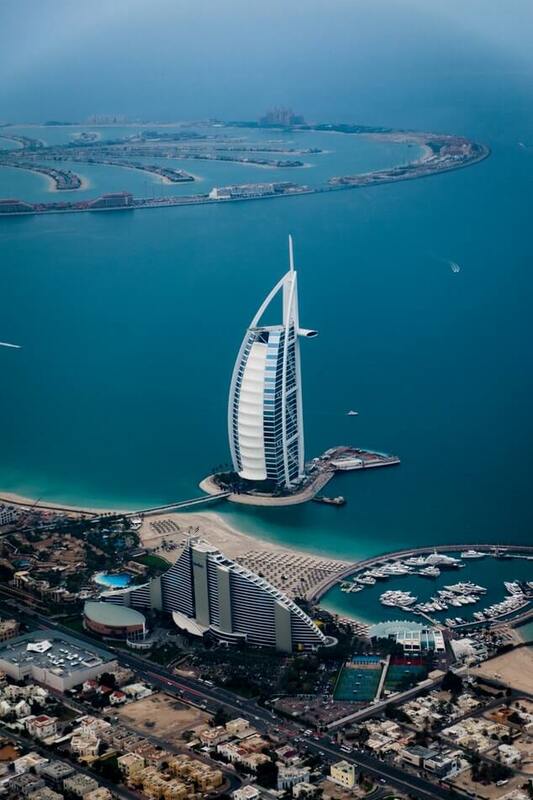 Dubai’s success is a result of investment and tourism. Dubai was established originally as a fishing village whose main trade was the export of pearls. Following The Great Depression, the former ruler Sheik Rashid bin Saeed Al Maktoum began a programme of investment in Dubai’s infrastructure. By the 1960’s Dubai was already an important port when reserves of oil were discovered. The Sheikh invested oil revenue in accelerated development to secure Dubai’s future with the aim to attract businesses and tourism. The small fishermen’s village grew to become a thriving metropolis. The business attire is usually suits for both men and women, although some local businessman might wear traditional robes. The traditional greeting is to shake hands. When greeting a woman, wait for her to extend her hand first. The more conservative women may not be comfortable shaking hands with men, therefore the best practice is to allow female business associates to offer their hands first. Exchanging business cards is common, and having one side of the card in Arabic language is recommended as it can open more business opportunities. Although some locals might be late for meetings, punctuality is appreciated, therefore always be on time as you would in your home country. Some of the popular industries with opportunities for SAP Consultants are the oil, gas, manufacturing, retail, banking and airline industries. SAP contracts can be for a fixed term or on a permanent basis. Fixed term contracts range from a few months to a year with daily rates similar to the UK. SAP Consultants are usually happy to accept contract extensions as Dubai is a very fun place to live and work. The working pattern varies from company to company, however, it is common that contracts require three weeks working on site at a time, followed by one week working remotely from your country of origin, enabling consultants to spend some time at home. Salaries for permanent European workers tend to be higher than in the UK, mainly due to the exemption of income tax. Contracts for locals are aligned to local rates. Most contracts to work in Dubai include the reimbursement of all expenses, but it can vary depending on the contract. The tax rate for SAP consultants is 0%, which means that you are entitled to the 100% of your income. However, you might still need to pay tax income in another country, for example, in your country of origin or previous country of residence if stated by the local law. You should seek advice based on your personal circumstances. Working days are Sunday to Thursday, as Friday is a day of rest in the Muslim faith. The weekend used to be Thursday to Friday but this has changed in recent years to have work days closer aligned to other countries. The working hours for office-based people are usually from 0800-0900 until 1730-1800. During Ramadan, which lasts a month, people usually work only 6 hours per day. Visas and work permits are usually arranged by the employer. In some cases this can also be arranged by the recruitment agency via visa partners, as it is the case when getting hired through Whitehall Resources. The local language is Arabic, however, being an international and cosmopolitan city with a large western influence, the most widely spoken language is English. The Emiratis are very proud of their culture therefore it is important to learn a few phrases in Arabic. It will be appreciated not just by the locals but also by other Arabic migrants. 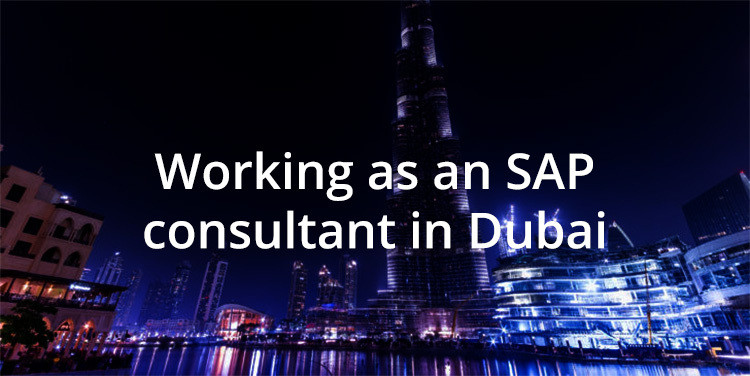 English is usually sufficient for a job as an SAP Consultant, but some companies prefer Arabic speakers and people who live locally as they believe it is easier to work and do business with employees who understand the language and the working culture. The local currency is the Arab Emirate Dhiram, commonly abbreviated as AED, Dhs or DH. There are 100 fils in a dirham. Currency notes are marked in Arabic on one side and in English on the reverse side. The cost of living in Dubai is about 35% lower than London. Find out more information about prices and the cost of living here. 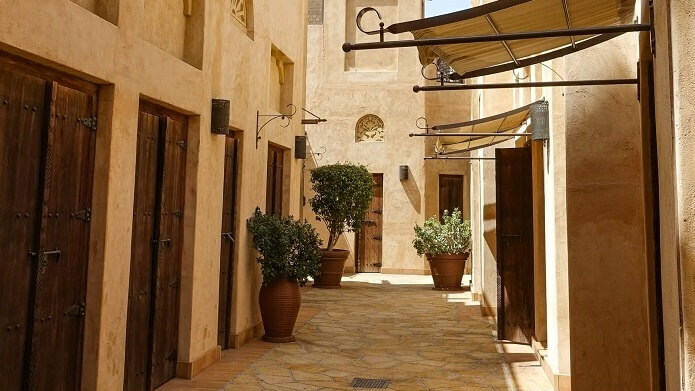 You can find here a guide to the different living areas in Dubai. Dubai has been a city open to foreign investment and tourism since the 1960s. They have welcomed migrant workers from all over the world who now outnumber the locals by far. 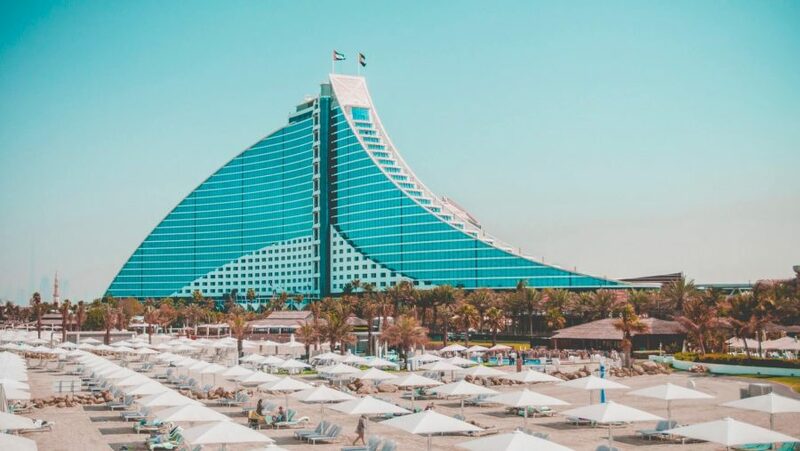 There are only around 470,000 Emiratis in Dubai, which represent 15% of the total population, the other 85% are mostly from other Asian countries such as India, Iran, Pakistan, Bangladesh, The Philippines and Sri Lanka. Westerners make up about 3% of the population. Travelling within the city is easy and affordable. There is a modern, clean and fully air-conditioned underground system and taxis are very popular. To drive in Dubai, you are required to convert your driving licence. Bear in mind the driving culture is different to European standards, therefore look out for vehicles cutting in and not using indicators. Dubai is a big modern city with large buildings and tourist attractions such as the Burj Khalifa – the tallest building in the world – which is located in front of the Dubai Mall – the biggest shopping mall in the world – and next to the Dubai fountains – yes, you guessed it: the world’s largest choreographed fountain system in the world! Dubai has a wide range of leisure activities – which mostly occur in air conditioned environments due to the heat. There is a wide choice of restaurants, shopping malls, nightclubs and even indoor snowboarding. The old town has a more traditional atmosphere and is a great place for shopping at large markets. Having brunch is very popular and foreigners usually gather in bars at the hotels at night, due to the strict alcohol laws. Dressing appropriately – Respect is an important social value for the Emiratis – cover your shoulders and knees when in public places. Swimming costumes are only appropriate at the beach. The local law – The law in Dubai includes social behaviour topics such as public displays of affection, alcohol consumption and swearing. You can find a guide to the local law on the UK government website. The hot temperatures – During the day, the average temperatures vary between 20°C and 45°C depending on the season and at night it can drop down to 10°C in the winter and 30°C in the summer. There is air conditioning everywhere, which means you can comfortably wear long sleeve shirts, suits or cardigans on a daily basis. Ramadan – Ramadan is the biggest Muslim religious holiday and a period in which Muslims abstain from drinking and eating during daylight. Non-Muslims are not expected to follow the tradition, but they are expected to respect it. This means, not eating or drinking in public between dawn and sunset. The role of women – Although only a quarter of the population are women, they are much respected in Dubai as they play an important part in their society. At work, women and men have the same pay and rights and there are also special maternity leave and post-maternity rights. There are a few different rules for women in regards to work and making certain purchases like a car or a house when they have entered the country under their husband’s sponsorship, therefore it is important to keep yourself informed. Women can also sponsor their husbands when moving to Dubai. Find here more information about how to sponsor your wife/husband in Dubai.